Last month, after the discovery of a power steering defect, General Motors announced a massive recall affecting 1.5 million sedans manufactured between 2004 and 2010. The announcement came as a major blow to the company, which is already facing legal repercussions for its decade-long failure to recall cars with an ignition switch defect. Their previous negligence resulted in at least 31 accidents and 13 deaths. According to GM, the steering defect has caused several accidents but no fatalities. However, this is not the norm. As we have seen at our Brooklyn practice, defective steering can have serious, catastrophic results. 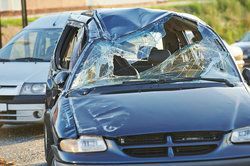 As investigators and auto accident attorneys continue to work on cases involving GM cars, they may discover more than one tragic death related to this serious manufacturer error. Rack and pinion steering: A pinion gear, attached to the steering wheel, converts the motion of the steering wheel into the energy needed to turn the wheels of the car. In vehicles with power steering, high-pressure fluid makes the process easier and smoother. Recirculating-ball steering: This type of steering is more common on large vehicles such as trucks and SUVs. The steering wheel is attached to a worm gear, which attaches to a bolt. When you turn the wheel, it turns the bolt, which then turns the block that controls wheel movement. Again, with power steering, high-pressure fluid makes the motion smoother. 15,500,000 cars were recalled in 2011 for various mechanical defects. Between 2001 and 2011, Toyota recalled 2,770,000 vehicles for faulty steering. Between 2003 and 2007, Honda recalled 600,000 Accords and Acuras because of power steering defects. In 2009, Toyota recalled 8.5 million vehicles because of faulty power steering. The defect was linked to 2,000 accidents, 243 injuries, and 16 deaths. Who Is Responsible for Defective Steering? In most cases, when an accident is caused by a defective part, the vehicle manufacturer will be held responsible. In a few cases, other parties may share some blame. For example, if the dealer was aware of the defect but sold the car anyway, he or she may be held partially responsible. Similarly, if the defective vehicle was being used by a business and the owner continued to use the vehicle despite knowledge of mechanical flaws, he or she could also shoulder some of the blame. Injured Because of Defective Steering? Because such cases can be quite complex, if you have been injured in an accident involving defective steering or another defective part, you need highly experienced and aggressive auto accident attorneys.At the Law Office of Gary A. Zucker & Associates, P.C., we are ready to take on your auto accident case and provide hard-hitting legal representation. Contact us today to schedule your initial consultation.